Where have all the jobs gone ? 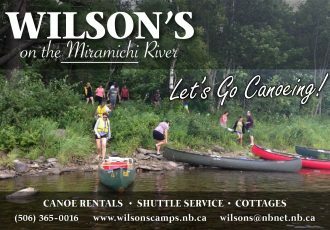 I am a strong proponent of a radical change such as I suggested in my July 31, 2010 posting where maybe the entire Miramichi watershed be converted to a park . It would actually create more jobs than what is presently available in the forestry sector ( Miramichi ) and it would eventually reestablish our forest to a healthy and vibrant ecosystem , even with a certain amount of logging and road building/maintenance . It makes one wonder when we hear today that the lumber markets are so poor that the mills need to close but when you talk to machine operators and contractors they have constant pressure from the companies to increase production . During the 1940’s and 50’s there were hundreds of workers in the woods and hundreds of mills running keeping our communities working and young people living here . Now we cut an unbelievable amount of land , very few mills running and only a fraction of the number of people employed, and our young people leaving the province by the thousands . Who is benefiting from the millions of feet of lumber being cut ? If our politicians are “Really” serious about a long term sustainable industry in the Miramichi maybe it is time to think outside of the box . The Park idea might not be a bad idea after-all . Cable skidders, horses , mills ( softwood and hardwood ) road crews , rangers, guides , camps , stores, restaurants , and hundreds of university graduates from around the world competing for jobs here . And a healthy forest to be proud of . I whole heartedly agree with you Keith! I have no idea how such a thing could be brought about but I’ll add my name to the list of proponents at least.